I’ve put together this page due to curiosity’s sake. 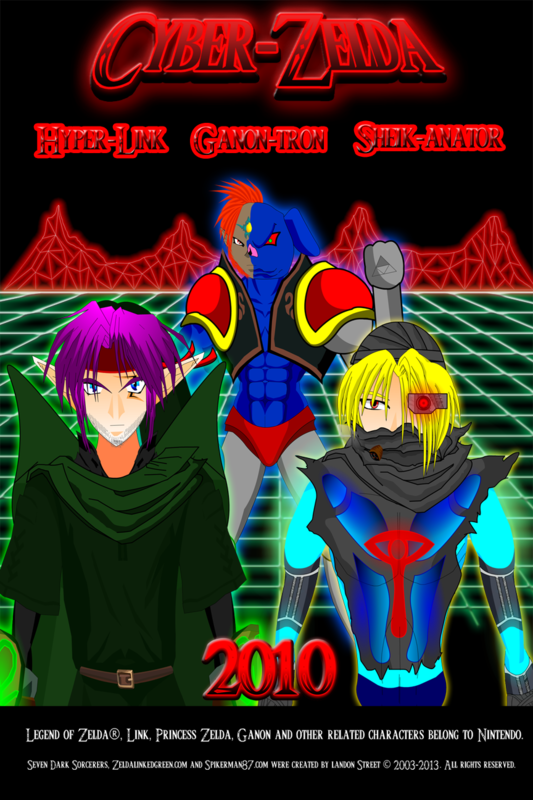 Cyber Zelda was a very absurd idea I had of mixing Zelda with 80’s Sci-Fi and action movies, most of that was inspired from Far Cry 3 Blood Dragon. I wrote down as many stupid and funny ideas and put them together to create a world of madness. I intended to make 3 playable games of Cyber Zelda, but unfortunately I’m not that good at creating Flash games. I used Action Script 2 code which is outdated and didn’t know it would cause the games to lag at an unplayable rate. Regardless they are here more for curiosity’s sake. I’m hoping I’ll come back to this and re-try Cyber Zelda to do it justice someday.